day have to be moved to the Ugly section. The weather is certainly changing and this is being reported worldwide but all concerns fall on deaf ears. People are getting ill from the reported fallout of barium, aluminium and other particles. This needs investigating now before its too late. As you can see from other sections nothing is beyond these freaks even poisoning from the sky! Chemtrails again, what is the real truth about this ? Chemtrails. View My Daily Dose from London. 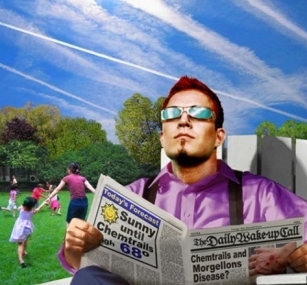 Chem Trails : What is wrong with our skies?